Today, I got together with some friends. We spent the day doing a little beading and catching up. 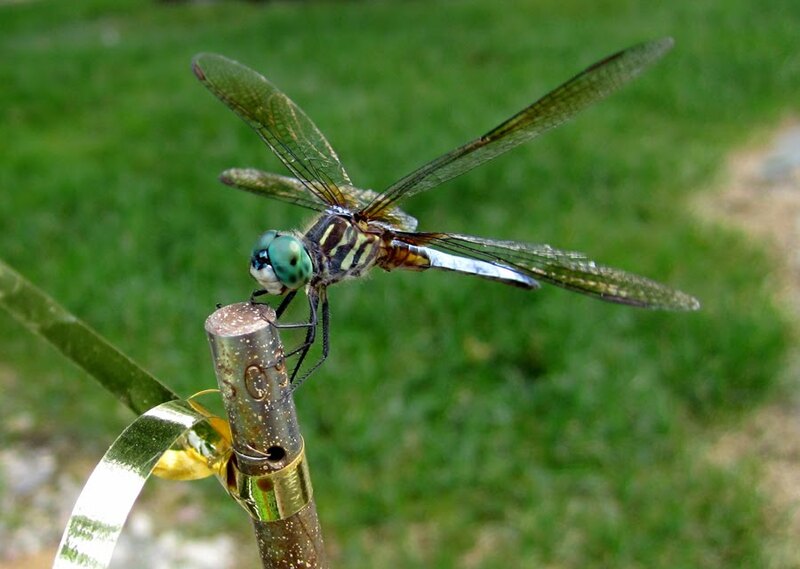 While we sat out on Patti's deck and fed the fishies, a dragonfly stopped by for a visit.